I’ve been doing my best to read the newspaper as much as possible to familiarize myself with the general values and concerns of the public while I’m studying here in India. The Hindu is my preference, but the Times of India is a good alternative. Many topics come up regularly such as the Rohingya refugee crisis, public transportation/highway safety, religious sensitivity, and environmental concerns. One topic that took my interest was about the recent protests by Indian students on the National Entrance and Eligibility Test (NEET) after the suicide of a lower caste girl, Anitha, who felt victimized by the government’s required admissions exam for med school (Sivakumar 2017). The core problem that Anitha vocalized is the inequality that rural students face as members of lower castes who are also socioeconomically disadvantaged. 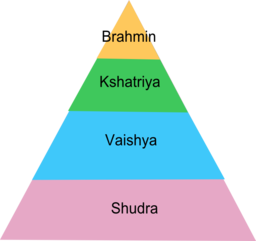 The caste system is an ancient hierarchy of classes that, although not completely visible, still exists in Indian society. The NEET is the MCAT of India and students who do well can get into medical school, but rural, low caste, low SES students are not prepared to do well enough. Generations of caste inequality did not disappear after India’s independence, nor has it been eradicated since then, so a policy was put in place to aid the socioeconomically disadvantaged who have been kept at the bottom of the hierarchy. It is a positive-discrimination policy that reserves a certain percentage of seats for students who are labeled as a part of the lower castes. Much like affirmative action in the United States, the reservation policy is in place as an aid to certain groups that have been historically discriminated against and systematically oppressed (Hegde 2015). It seeks to reduce that historic inequality that has continued to plague the lower castes. There is a problem with the reservation system though. It seeks to reduce inequality through higher education which is problematic because lower caste members who are also in a low SES haven’t had access to quality public education, or any other social advantage that comes with being in a higher caste or socioeconomic status. The US Department of Health and Human Services regulates various welfare programs in America. Although the reservation system has its purpose, the quota should be dialed back to under 50%, and the government should place more emphasis on welfare programs to boost education (and other SES related elements) for disadvantaged families. India has the second largest population in the world and if they if they want to enhance equal opportunity they are going to have to develop more efficient and effective plans for welfare than they currently have (Jha 2014). There are varied ideas about how the problems of racial inequality and historic discrimination should be addressed but hopefully education and implementing effective social programs can empower the disadvantaged in a move toward a just and fair India. Hegde, Sasheej. 2015. “The Many ‘Truths’ of Reservation Quotas in India: Extending the Engagement.” Social Scientist 43 (3/4): 61–104. Jha, Raghbendra. 2014. “Welfare Schemes and Social Protection in India.” The International Journal of Sociology and Social Policy; Bingley 34 (3/4): 214–31. Sivakumar, B. 2017. “Why Anti-NEET Protests Are Happening in Tamil Nadu despite SC Ban – Times of India.” The Times of India. September 11. http://timesofindia.indiatimes.com/city/chennai/why-anti-neet-protests-are-happening-in-tamil-nadu-despite-sc-ban/articleshow/60456061.cms.